At Hill’s Home Market, we never met a burger we didn’t like. Which is why we offer the great American classic. Our 6oz. 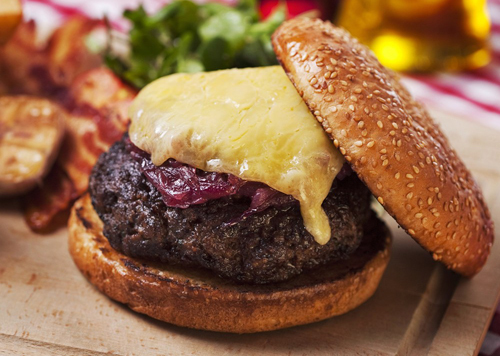 Jumbo Beef Burger offers a tender beef burger bursting with flavor. For classic cookouts fire up the grill with our burgers. Guaranteed to thrill! Grilling: Adjust grill so that burger surfaces are 6-8 inches from the coals. This gives even heat without too much intensity. If burgers get too hot, raise grill away from heat. Frying: Preheat a heavy frying pan. Do not add water. When the pan is very hot brown the burgers quickly on both sides. Do not cover pan. Lower temperature and cook slowly until done. Turn a few times to desired doneness.